Are People Really That Bothered by the Word “Moist”? 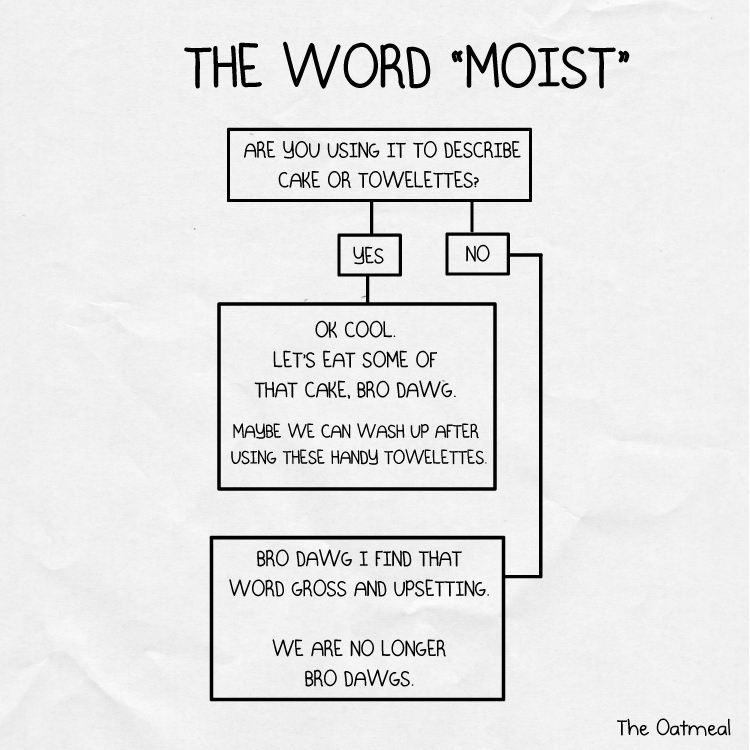 by Andrew.In This Modern Life.Leave a Comment on Are People Really That Bothered by the Word “Moist”? I remember first hearing this back in college. 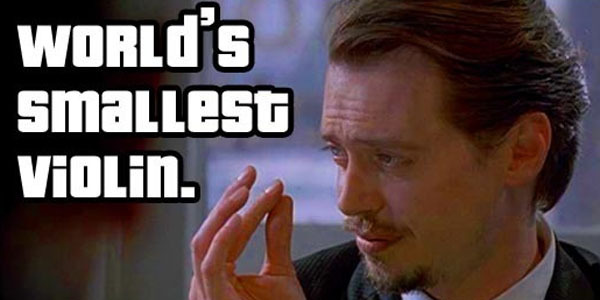 It was girls who said that they hated the way “moist” sounded. I’ve never had that level of aversion to a word, where I experience white-girl-ewws if I hear it. There’s one four-letter word that I wrinkle my nose at, but I fortunately don’t encounter it that much. Yet if The Oatmeal is any guidepost, “moist” is about to join clowns in the group of Things That We Just Can’t With Right Now. And as far as both “moist” and clowns go, I’m calling BS. Clowns are not that scary. They just aren’t. Yes, some people have legitimate coulrophobia. And some people are scared of wide open spaces. Some people are scared of books. Some people have a phobia about clocks. Here’s a whole list of innocuous things that people are irrationally terrified of. Anything can be scary. You give a clown a mouthful of blood and a flail made from children’s bones, and yes, I’ll be running in the other direction as quick as my feet will carry me. That doesn’t mean that all clowns are terrifying all the time. Are the clowns in Dumbo scary? No, they’re dumb and kind of mean, but not scary. Hitchcock devoted a whole film to making birds scary. 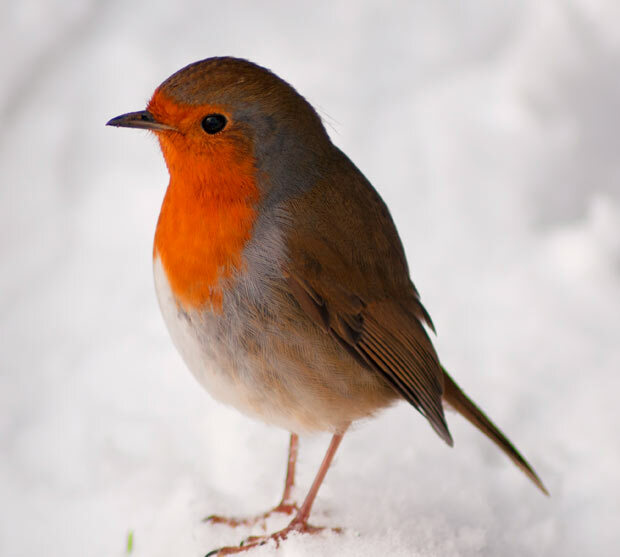 That doesn’t mean we devote endless memes to the horror of a robin. This is all a miasma of trendiness. It’s trendy to think clowns are scary, and its trendy to act all skeeved out whenever someone utters “moist.” I say “moist” is a perfectly fine word to describe things that have an appropriate level of wetness, or “moisture” if you prefer. I’m not going to stop using it, and I’m going to offer racheting levels of disdain to people who call attention to their inability to function in the world by objecting to my use of it. Put on your big-kid pants and deal.